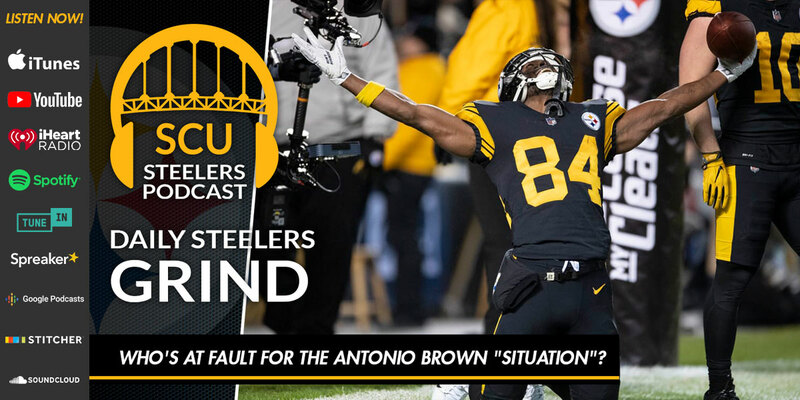 Home » Who’s at fault for the Antonio Brown “situation”? Yes, folks we have another Antonio Brown show for yinz today! On the heels of his interview tours on HBO’s “The Shop” with LeBron James and an exclusive sit-down interview with ESPN, Joe and Brian attempt to not only sympathize with AB’s claims but also attempt to decipher what it all means. Part of that process is trying to figure out who is responsible for this entire situation? Does blame fall elsewhere? Or is it solely on Antonio Brown? And how might the receiver’s words be interpreted when he’s contradicting what he’s saying elsewhere or otherwise saying nothing much at all? Nearly an hour more of this “Steelers podcast” is dedicated to “Mr. Big Chest” as the SCU crew looks at every angle from Brown’s most recent comments.